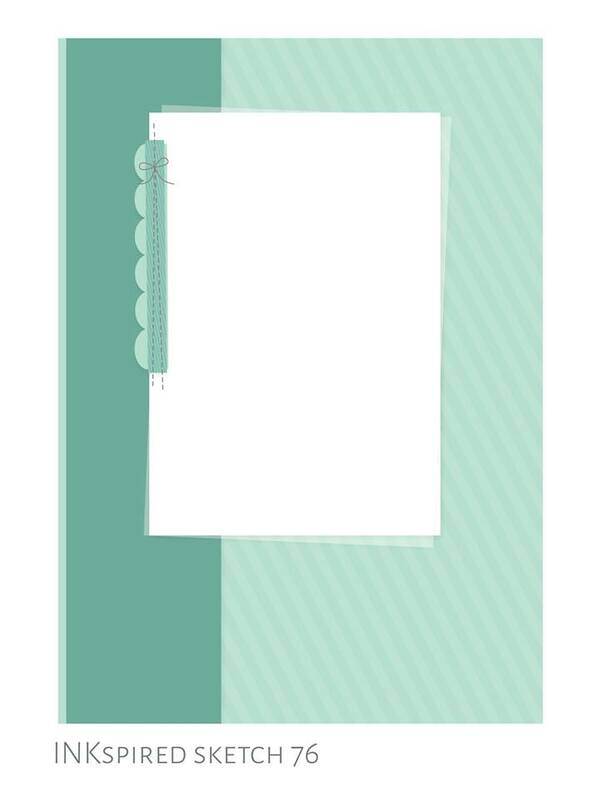 Hello and welcome to another Inkspired Blog-Hop! I'm so happy you joined us! Be sure to visit all stops to see what the other team members have created to share with you. You may have arrived here from the very talent Teneale Williams (who again has created an awesome sketch for us all to play along too) and I'm sure she has inspired all with her super amazing card. Picture of what's included in the set. I must say I took my inspiration from a card that Teneale had created early this year using the Beautiful Lavender Set from the Sale-A-Bration booklet which is almost over for another year, so hurry and place your order of $ 90 Australian dollars to earn free a free stamp set. I love how this card came together. Ok I didn't get the machine out and sew the ribbon but think it look pretty just the same. I started with a piece of Sweet Sugarplum and added a strip of the Petal Garden DSP which I sanded the edges to get a softer effect. Two of my favourite colours combo's are Crumb Cake and Vanilla because you can add almost any other colour to them to create a softness. 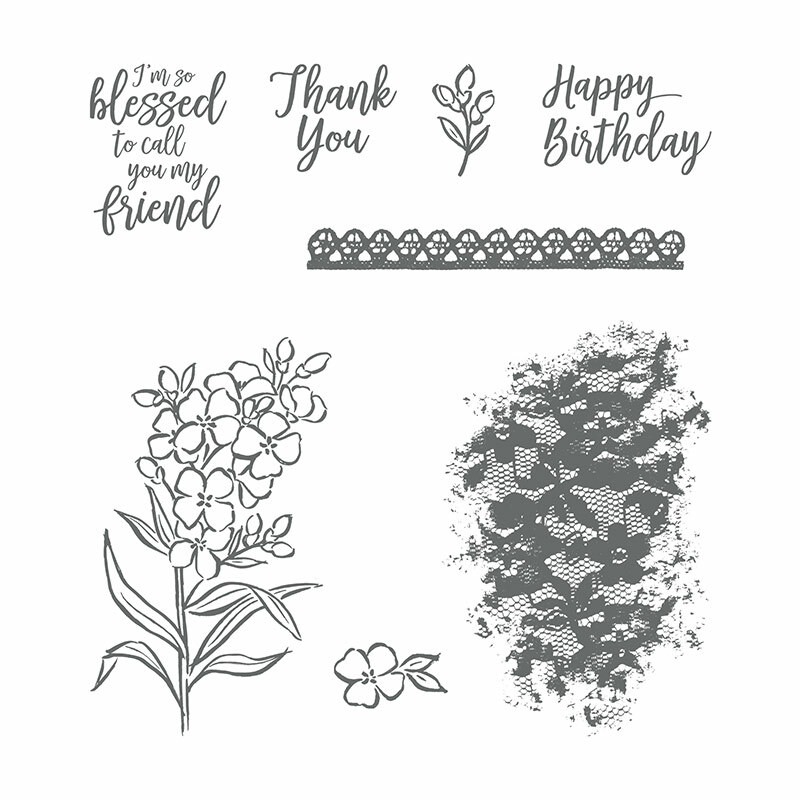 I stamped the flowers and sentiment in memento ink and added colour using the light and dark Pink Pirouette Blenders and the light and dark Old Olive. I also added a touch of gold foil for the scallops and used the Very Vanilla Lace Trim to create the look of stitching. Then I added a little piece of Linen Thread to finish the card off. Next Up is the lovely Allison and I can't wait to see what she has installed for us this week. 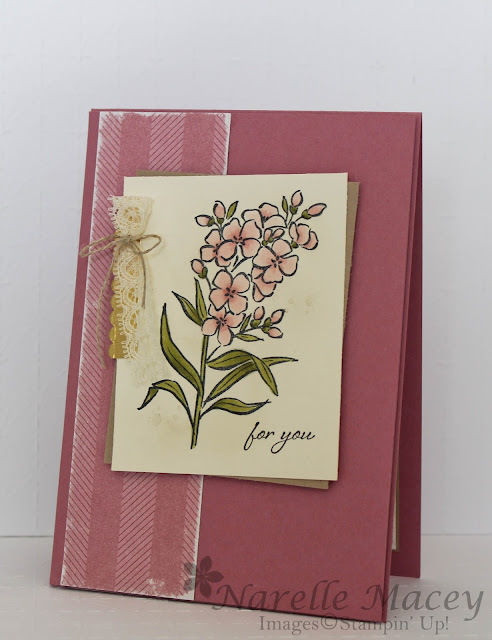 1 comment on "Inkspired Blog hop #76 - Southern Serenade"
Lovely card Narelle, your work is always beautiful. Inkspired Bloghop #79 - Share What you Love! All stamp images © All stamp images © 1990-Current Stampin' Up! All content, including text, photographs and graphics © 2007-Current Narelle Macey. 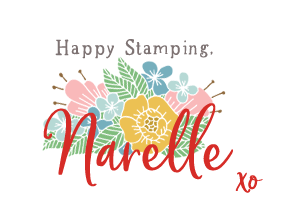 The content of this blog is the sole responsibility of Narelle Macey - Independent Stampin' Up! Demonstrator and the use of and content of the classes, services, or products offered are not endorsed by Stampin' Up!.